Easter is just around the corner. 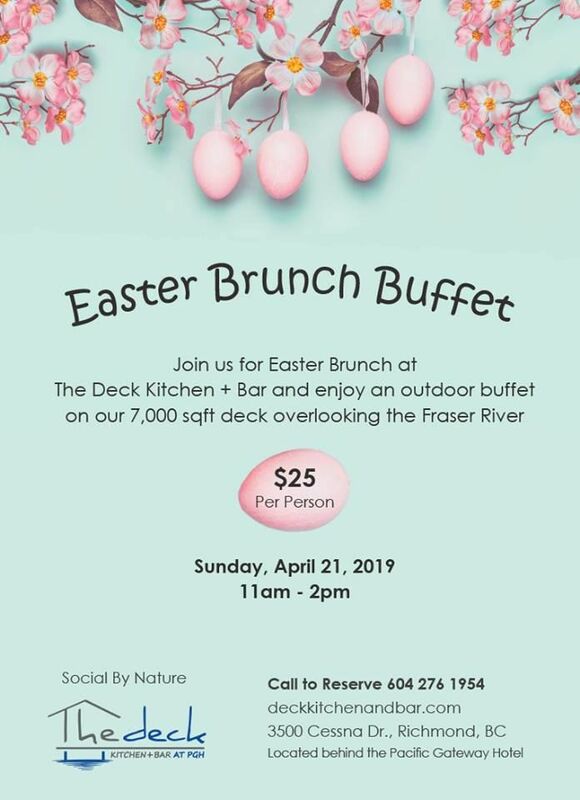 Join us on Sunday, April 21 from 11 am - 2pm for an Easter Brunch Buffet on our outdoor 7,000 sqft deck over looking the Fraser River. 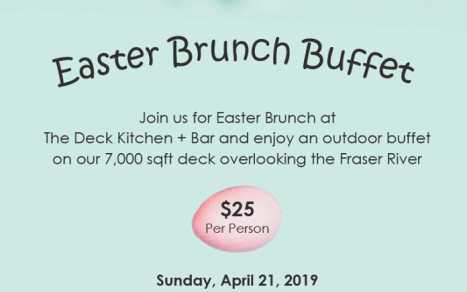 Call or reserve online.